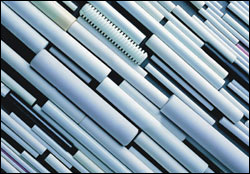 C-Mac provides many different crushable ceramics, including Magnesium Oxide, Alumina and Hafnia. These highly engineered materials are formed by extrusion, dry pressing and slip casting. These crushable ceramic products are used worldwide in cartridge heaters, thermocouples, mineral insulated cable and crucibles.